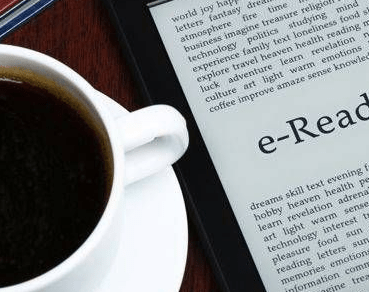 If you have ever downloaded any Amazon ebooks, you may wonder about the Amazon My Kindle Books location, moving the ebooks, making a back-up or troubleshooting, and this article will help you learn more. For example when going on a vacation you may want to take another device like an iPad or smartphone to read your Kindle books and not to have to cart two devices. Another situation: say you received some Kindle ebooks as a gift and don’t know how to get them onto your device. Another case: you want to back-up your Amazon My Kindle Books on your PC or Mac. These are the situations we will talk about. In order to move your Kindle books from your Amazon cloud account onto your Kindle the easiest way is to request Amazon to send them over. Make sure that your Kindle is registered with your Amazon account’s email. If you purchased the device yourself, it’s going to come pre-registered to your Amazon email address. If you received it as a gift, you need to register it with your Amazon account email in order for this to work. On your Kindle, click Home, Menu, Settings, Register, and complete the registration. Next, go to your Amazon.com account and navigate to your Digital Content section, this is where you can manage your Kindle eBooks, your MP3s from the Amazon music store and other downloadable items such as audio books. Scroll down and you will find your orders lower on this page – select the files that you want Amazon to deliver to your device. You needs to have the Internet connection on the Kindle to receive the items. Next, on your Kindle go to: Home, Menu, Sync and Check for items, and the books will appear on your device in no time. To do this you need to download the Kindle reading app onto the device – for PC, Mac or Android. Once done, register the app and it will connect to your Amazon cloud account. Kindle app allows you to have the same book on many different devices, and to get back to where you left off reading on whatever device – Amazon will synchronize the data between the devices. To read your books in the Kindle app without the Internet connection, you need to download them from the cloud into the app rather than just opening them. Double-click on the book and it will start downloading. Unfortunately, you cannot download items in bulk, so it may be a lengthy process depending on the amount of Amazon My Kindle Books that you have in the cloud. When you open the Kindle reading app you will see 2 tabs: Cloud and the Device. Cloud is where all the books you have ever bought from Amazon are. The Device only has the books you have downloaded onto your Kindle reader or onto the Kindle reading app on whatever other device. You will need Internet connection to download the books from your Cloud account on to the device using the Kindle app, but once they are there you won’t need the Internet to read those books. The easiest way is to connect the Kindle to your computer via a USB cable – it should show up as an external hard drive. Navigate to the Kindle folder (the location will depend on your operating system) and inside you will see the “Documents” folder. Drag this folder anywhere on your computer you want your books saved to, and you’ll have a backup. Note: If you delete a book from your Kindle device, you are not getting rid of the book forever – it will remain in your Amazon cloud account. Note: When you’re downloading ebooks from your Amazon cloud account onto your computer, note that you won’t be able to read them with anything other than a Kindle reading app or a Kindle device. This is because Amazon Kindle books are protected by DRM. There are some issues that users may experience with their Amazon Kindle books. For example ebooks downloaded from the cloud account into the Kindle reading app won’t open. Many issues are often solved by downloading the book again because it might have download incompletely or incorrectly. Have you ever had any issues with your Kindle books? If yes, were you able to solve them?